UNITED NATIONS - Cuba wants to re-establish relations with the United States with a focus on humanitarian and other issues, Foreign Minister Bruno Rodriguez said Monday. 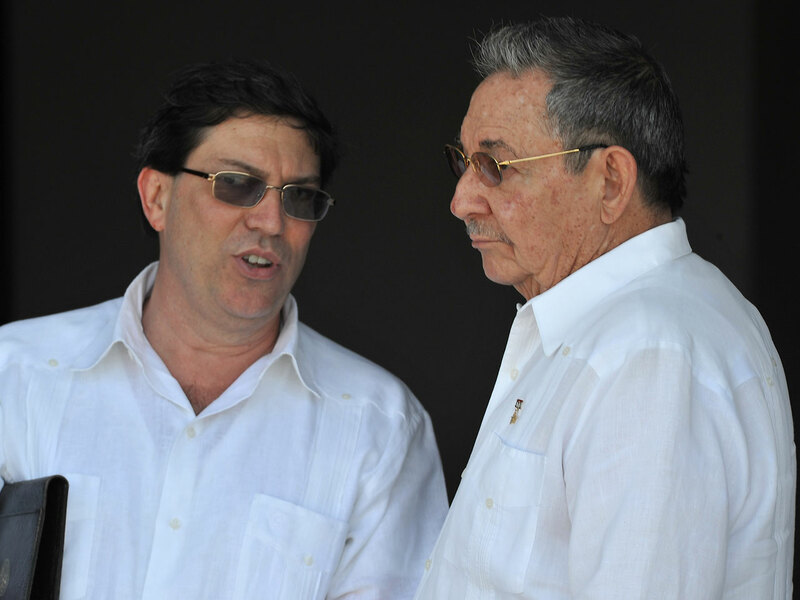 Rodriguez also called on President Barack Obama to release five Cubans serving U.S. espionage sentences, telling the opening of the new U.N. General Assembly that the continued imprisonment of the five men convicted of espionage in 2001 is "inhumane." The Cuban government refers to the five men as heroes who were gathering information about terrorist groups in the United States to protect their homeland. The foreign minister said the two countries had many points of understanding in common. "The Cuban government reiterates its willingness and interest to move toward the normalization of relations with the United States," Rodriguez said. Cuba accuses Bill Richardson of "blackmail"
"Today I reiterate the proposal of beginning a dialogue aimed at solving bilateral problems, including humanitarian issues, as well as the offer of negotiating several cooperation agreements to combat drug-trafficking, terrorism, human smuggling, prevent natural disasters and protect the environment." Among the humanitarian issues pending between the two countries is the continued imprisonment of American Alan Gross, who the Cuban government accuses of illegally bringing communications equipment onto the island while on a USAID-funded democracy building program. In March of this year he was sentenced to 15 years in prison for crimes against the state. Cuban officials including President Raul Castro accused him of spying, but Gross says he was only trying to help the island's tiny Jewish community get Internet access. The case has harmed any chance of improved relations between Washington and Havana, which briefly seemed to be getting better after Obama assumed the presidency. In an interview with The New York Times during his current visit to the United States, Rodriguez did not rule out the possibility of Gross being freed for humanitarian reasons. But he indicated Cuba would expect some kind of reciprocal action. Rodriguez did not mention Gross in his speech to the assembly on Monday, but spoke several times about the five imprisoned Cubans.